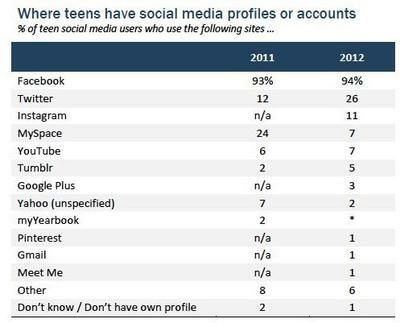 Pew Survey: Facebook Flatlining Among Teens, Plus What Do Teens Share? 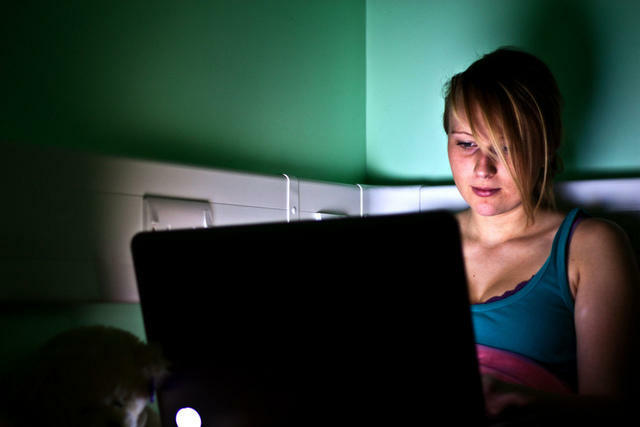 Is Facebook beginning to flatline among teenagers? Last month, a Piper Jaffray survey suggested that teens are growing weary of the social network, and now Pew Internet & American Life Project has published a report casting the social network as yesterday’s news. In terms of current numbers, there is no doubt that Facebook is still the king. In a poll of 802 parents and their 802 teens, Pew found that the vast majority of these young social media users still have profiles on the network, at 94 percent. But when it comes to growth, that figure hasn’t changed since 2011, which means it’s not gaining new interest from young users. Although Twitter’s 26 percent is far smaller, it managed to capture more than twice what it had in 2011, at 12 percent. And Instagram is right behind it in third place, with 11 percent. These services are clearly not a threat to Zuck & Co just yet, but the social giant seems to be stagnating during a time when upstart competitors are gaining interest — and quickly — from young users. As for what they do once they’re logged in, on Facebook or elsewhere, Pew discovered that teenagers are increasingly showing some signs of maturity in their usage. Even though some teens were confused about whether their tweets were private — 12 percent of the young participants weren’t sure — most do seem to care about matters like reputation and privacy. Nearly 60 percent of teen social users said they have deleted or edited their content, and a little more than half have deleted other people’s comments from their profile or account. But privacy settings varied, depending on the network. And in terms of connections, the researchers found that as many as third were friends with people they didn’t know in real life. What do you think? Have you noticed if Facebook is flatlining among young users, or does interest seem as strong as ever to you? And do you find that they care about privacy more or less these days? Weigh in.